Compare Roomba i7 and i7+ with Roomba 960: What Are the Main Differences? If you were considering to get one of the top Roombas, you will find this article useful as we wil compare here Roomba i7+, Roomba i7 and Roomba 960 which are three of the top models currently available on Amazon. This article will first compare the Roomba i7+, i7 and 960 robots. 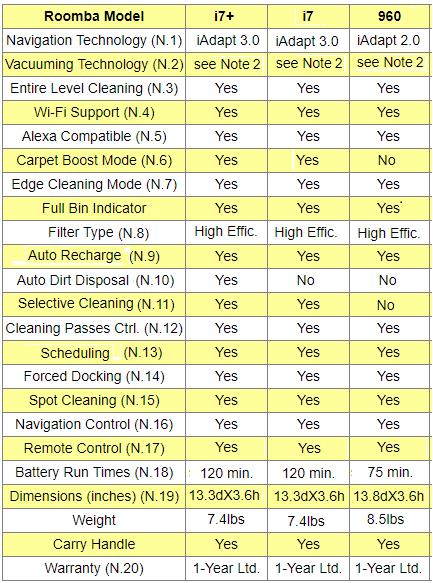 The following table compares the iRobot Roomba i7+, i7 and 960 vacuuming robots. Roomba 960 was designed with the navigation iAdapt 2.0 technology which features vSLAM, a camera-based technology that is used to map out your home to ensure complete coverage. It allows the robot to seamlessly and efficiently navigate an entire level of your home and keep track of its location. With iAdapt 2.0, the robot uses a high-efficiency cleaning pattern and a full suite of sensors to adapt to real world clutter and furniture for thorough coverage, avoiding obstacles and stairs. Roomba 960 uses dual multi surface debris extractors which are non-bristle brushes that are tangle free. So, it is quite efficient in picking up pet hair and debris. ​Note also that in Roomba i7+ and i7, when in Carpet Boost mode, the suction power is increased 5 times compared to the suction power in Roomba 960. But the suction power in Roomba 960 is considerable too: it is 5 times the suction power found in the previous 800 and 600 series Roomba robots. Roomba i7+, i7 and 960 can resume automatically the cleaning job where it was interrupted before going to Home Base to recharge. They continue this way until the job is done and the entire level of your home is cleaned! When Roomba i7+, i7 and 960 are connected via Wi-Fi to your smartphone or tablet, you can use the iRobot Home App for Android and iOS to invoke remotely operations (such as cleaning, scheduling, etc.) from wherever you are, using your smartphone or tablet. Note: You may be asking the question: Can we use these three Roomba robots without WiFi?". The answer is "Yes! ", you can use them, but if you don't have WiFi, you will have to control them by using the control buttons on the robot or by purchasing a compatible remote-control device (see the Amazon products section below for compatible remote-control devices). Note however that certain operations on Roomba i7+, i7 and 960 are only available from the App on the smartphone which needs Wi-Fi. 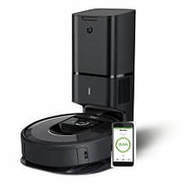 Wi‐Fi connected Roomba vacuuming robots, Roomba i7+, i7 and 960, are all compatible with Amazon Alexa and the Google Assistant, so they are voice controllable. Simply ask Alexa or the Google Assistant to start, stop, or dock your robot​. All Roomba robots are equipped with a side brush to clean wall edges. But Roomba i7+, i7 and 960 feature special final edge cleaning action to make sure that stubborn dirt and debris along wall edges are all removed. After these robots finish cleaning the open areas of your floor, they use the Final Edge Clean feature to ensure that they have cleaned along walls and around furniture legs. If you prefer a quicker clean, you can disable Final Edge Clean from the App. ​This feature is turned on by default. The AeroForce High Efficiency filters on Roomba 960, i7 and i7+ do a great job capturing hair, pet fur, lint and carpet fuzz, and can capture 99% of allergens, pollen, and particles as small as 10 microns. In most cases, Roomba will remove dirt and debris with just one pass over each area of your home. With Roomba i7+, i7 and 960, two-pass cleaning can be requested and can be particularly helpful in homes with pets or for periodic deep cleaning. The number of cleaning passes is one by default. This feature can be invoked from the App. The navigation direction of these three Roomba robots considered here can be controlled by Dual Mode Virtual Wall Barriers which are battery run standalone little devices that can be used to block off an open doorway, but they can also be used as Virtual Wall Halos to protect some restricted area within the room, like for instance the area where the dog food might be. 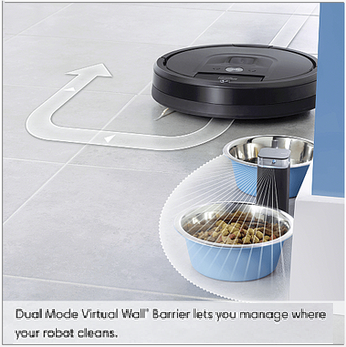 Roomba 960, i7+ and i7 each come with one Dual Mode Virtual Wall Barrier. 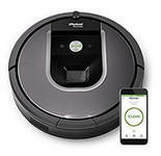 Roomba i7+, i7 and 960 can be remotely controlled from your smartphone or tablet using the iRobot Home App. iRobot has specified the battery run times at full charge for Roomba i7+, i7 as 120 minutes. ​ The run time for Roomba 960 is specified as 75 minutes. Roomba robots can use Lithium-Ion or Nickel Metal Hydride (Ni-MH) batteries. Roomba i7+, i7 and 960 come with a Lithium-Ion battery. They have the ability to boost the vacuuming power up to 10 times when carpets and rugs are detected (twice the maximum power available on Roomba 960). They can run for about 120 minutes before going back to Home Base to recharge, while Roomba 960 can run 75 minutes.